Transformative ecological, social and economic progress will require us to replace the standard methods of measuring national progress with tools more holistically aligned with the deeper values represented by our aspirational goals of creating a truly sustainable future. Gross National Product (GNP) and Gross Domestic Product (GDP) are widely considered the standard measures of economic progress throughout the industrialized world. GNP measures the economic output of firms owned by companies within the measuring country. GDP measures the output of all firms operating in the measuring country. Close examination reveals that both measures are inadequate for creating real progress in human well-being. GNP is a poor measure of economic success. It measures activity (production of goods and services, even if those goods and services create environmental damage or impair human health), not outcomes, such as improvement in quality of life. It also assumes economic growth is itself a sufficient goal. The widespread observation that “you manage what you measure” points to our natural tendency to concentrate on things we can track and count, not necessarily the things that matter most. By relying on GNP as the primary scoring system of how we are doing as a nation or global society, we may be unwittingly pursuing the wrong outcomes. In fact, a growing body of research by psychologists and economists supports this very premise – that economic progress does not equate to happiness, and that we should focus our measurement on factors that more directly address human well-being. In 1972, the Bhutanese King Jigme Singye Wangchuck faced a dilemma that would shape the future of his country – how to start opening his small Himalayan kingdom to carefully measured Western-style economic development while preserving the cultural uniqueness that made Bhutan a special and beautiful place. In 1998, Bhutan formally adopted the Gross National Happiness (GNH) system and required all laws and national policies to be designed to improve GNH. Following Bhutan’s lead, economists and social scientists started to examine how national and international development policies and measurement systems could be connected to human well-being. Entire fields of study – including Humanistic Psychology – have developed in the past 20 years around the question of what requirements must be fulfilled to support fundamental human well-being. 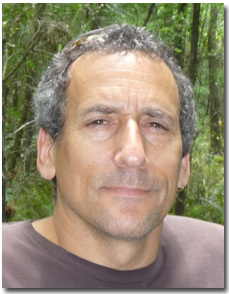 Much of this inquiry has expanded on the well-known work of American psychologist Abraham Maslow from the 1940s and Chilean economist Manfred Max-Neef from the 1980s. 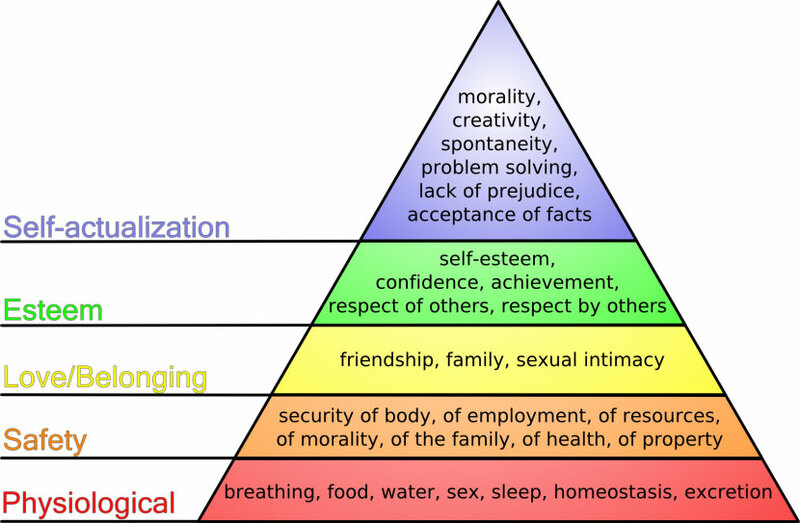 Maslow’s “Hierarchy of Needs” has been criticized as having no grounding in empirical evidence. Nevertheless, Maslow is credited with founding the Humanistic Psychology movement, and like many early models, his theory served as a basis for much important and meaningful work that followed. Image courtesy of the Psychology Wiki. Where the HDI uses quantitative measures, other approaches place increased focus on qualitative measures. For instance, the World Values Survey project, conducted by Ronald Inglehart between 1999 and 2002, asked individuals in 63 countries how happy or satisfied they felt subjectively, then correlated the answers with the median income of the countries. The report showed some correlation between national affluence and reported well-being, but only across a wide range. The countries with the highest reported happiness among individuals included relatively wealthy nations, such as the US, Switzerland, Denmark and Austria, as well as less-economically advanced countries such as El Salvador, Mexico, Columbia and Nigeria. Growing material affluence has been the central focus of economic development strategies for most industrialized or developing countries since the industrial revolution, and in some cases, dating back for millennia. And still today, when food security, health crises and basic physical security (shelter, national defense, freedom from crime, etc.) are far from universal, many individuals and countries have valid reasons to pursue greater financial stability. For those more financially fortunate, the question is how much is enough financially? A solid body of evidence supports the case that once basic needs are satisfied, the correlation between financial and emotional well-being is more tenuous, and a strong sense of community, economic and social stability and other factors become more important. The implications of these studies are profound for individuals, organizations, communities, regions and nations fostering a future in which economic development supports both ecological security and sufficient prosperity for the world’s growing human population. As long as policy makers use GNP or GDP as the primary measures of economic “success,” they will continue to enact and promote policies that – ironically and despite the best of intentions – undermine the needs for a sustainable or restorative future. Even as we pursue the technological and financial tools to ensure economic sustainability, we must also redefine the metrics we use to measure progress. We can start by replacing the archaic GNP/GDP primacy with more holistic and robust tools that consider income or financial wealth as only one contributor to a greater and more appropriate goal: well-being. Today, a “business as usual” mentality and institutional momentum and inertia stand in the way of a national success model founded on well-being. The urgency in overcoming these obstacles to the new model cannot be overstated. Hanging in the balance are the lives of billions of people and countless species – for generations to come.